Audi has made history at Le Mans: in 2006, the premium brand won what is arguably the toughest long-distance race in the world with diesel engines – as the first manufacturer. 2016 marks the tenth anniversary of success. Today, the TDI unit is more efficient than ever before and part of a highly complex diesel hybrid drive. Never before has an Audi LMP1 race car been as efficient and as economical as the current Audi R18. The revolution came on quiet footsteps: The “Higher-Faster-Faster” of the TDI drive announced itself a decade ago with a noise that was unusual even for the established racers. Almost imperceptibly quiet, the Audi R10 TDI moved around the course. 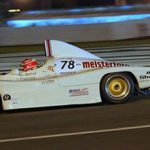 “At high speeds, even the wind noise was louder than the engine,” recalls Le Mans legend Tom Kristensen, who leads the list of the 24-hour race with nine wins. Driving and switching to noise levels – that was history in 2006 in the LMP1 race car. Audi Sport tested the diesel engine for Le Mans in cooperation with the pre-production and series development of AUDI AG. The 5.5-liter twelve-cylinder engine for racing was the first Audi diesel engine with aluminum cylinder block. The Audi R10 TDI made its first rollout on 29 November 2005 at the Italian racetrack of Misano. Exactly 200 days later, the diesel sports car started at the 24 Hours of Le Mans and won straight away. In between, there were 30,000 test kilometers, and the V12 TDI engine ran another 1,500 hours on engine test benches. Frank Biela / Emanuele Pirro / Marco Werner (D / I / D) crossed the finish line after 380 laps and covered 5,187 kilometers. Also in the two following years, the TDI engine from Ingolstadt and Neckarsulm prevailed, both times against tough diesel competition. The efficiency gains compact in numbers: In the diesel epoch since 2006, the diameter of the air restrictor decreased by 34 percent, the boost pressure decreased by 4.7 percent, the displacement by almost 33 percent. The absolute power, however, dropped from more than 478 kW (650 hp) to around 360 kW (490 hp), ie only by 24 percent. This means that the liter output increased from 87 kW (118 hp) in 2006 to 107 kW (146 hp) in 2011. That is an increase of almost 24 per cent. The higher injection pressures of the racing injectors ensure even more efficient combustion. At around 3,000 bar, the racing engine paved the way for rising pressures in the automobile. Marcel Fässler / André Lotterer / Benoît Tréluyer (CH / D / F) won in 2011 with the R18 TDI and a year later with the R18 e-tron quattro, which for the first time had a hybrid drive. In 2013, Loïc Duval / Tom Kristensen / Allan McNish (F / DK / GB) prevailed in Le Mans with an enhanced version of the R18 e-tron quattro. 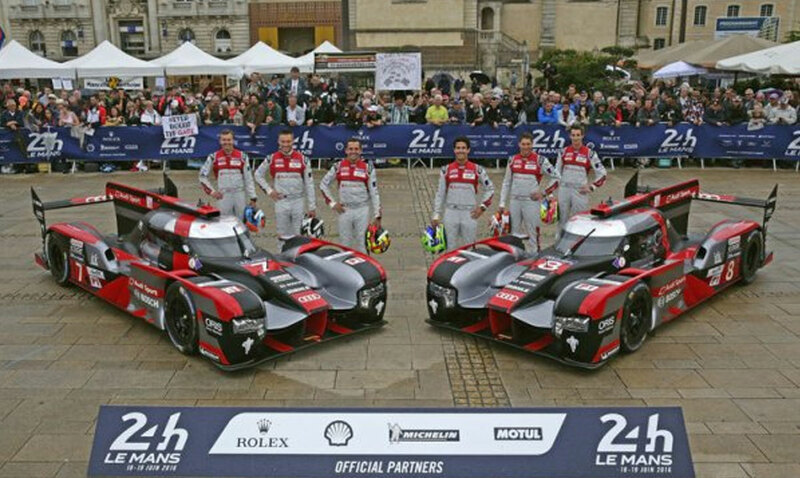 After Fässler / Lotterer / Tréluyer in 2012 in 2013 they were the next title winners in the FIA ​​World Endurance Championship WEC. 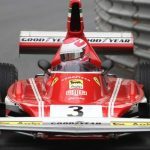 In 2014, an efficiency regulation came into force, which meant a radical cut in racing: instead of a power limitation by factors such as air flow limitation or engine displacement was a pure energy limit. Audi increased the V6 TDI engine, which had to make do with about 22 percent less fuel than its predecessor, to four liters of displacement. The trio Fässler / Lotterer / Tréluyer achieved the third victory – it was the eighth for a TDI drive from Audi in Le Mans. The current V6 TDI engine delivers 32.4 percent less fuel than the first generation of 2011. Even more sustainable are the progress made compared to 2006. Today, Audi’s LMP1 race car consumes 46.4 percent of the current drive less fuel at Le Mans than ten years ago. Nevertheless, he achieved ten to 15 seconds better lap times than a decade ago. All this is possible thanks to the sum of all advances, especially in aerodynamics, lightweight construction and propulsion.